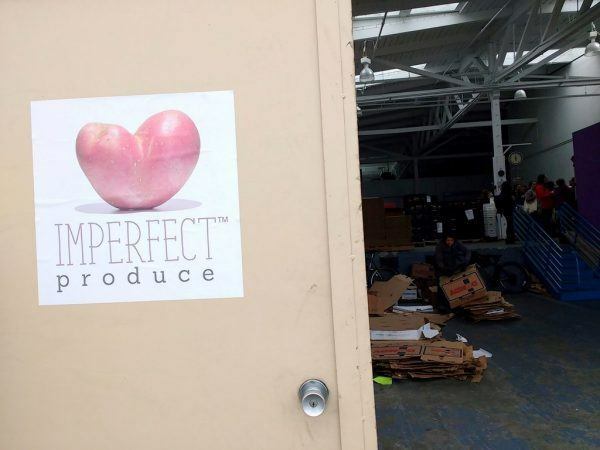 This week I was a guest in a warehouse tour of Imperfect Produce. 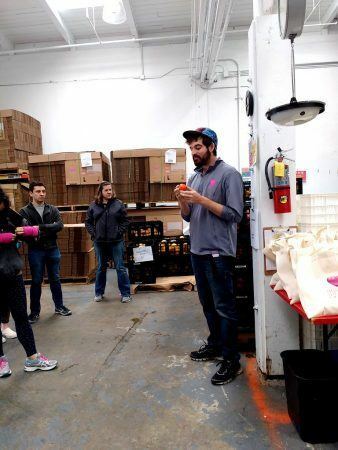 What this company does is very simple: they get some of the rejected produce that couldn’t make it to the big retailers markets and pack them nicely in a weekly box and finally deliver it to the door step of their clients in the East Bay and recently started to deliver to SF as well. I was intrigued by this process and how this simple act could be affecting the industry, and how people will shop produce in the future. 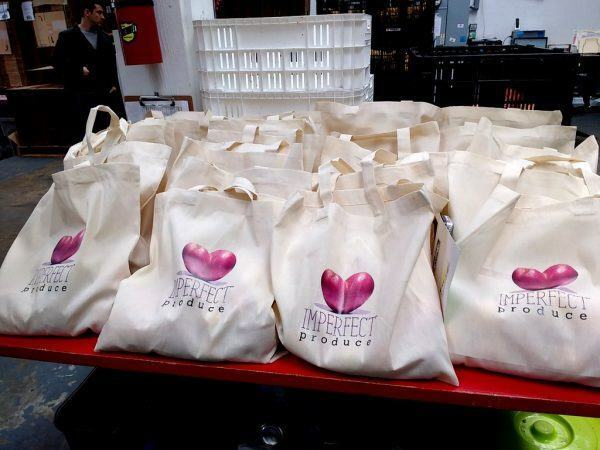 I got a really cool coupon code for imperfect produce, if you want to try their service, use LECOULOIR code to get 20$ off your first order! 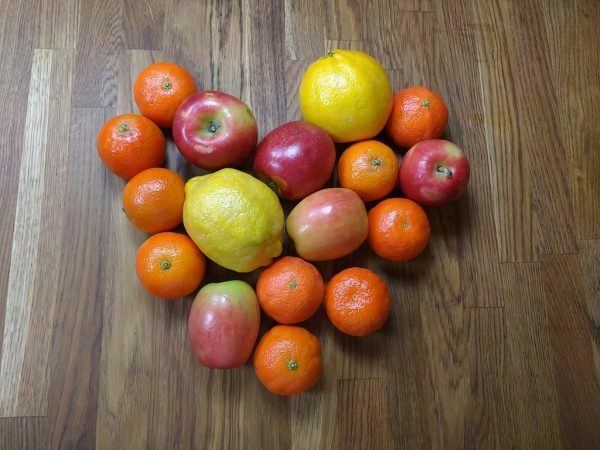 These fruits and veggies looks okay to us, so why are they rejected? Well, the big supermarket stores have very strict codes to the produce they are willing to pay for. It has to be all similar in size, have an even shape, without any cosmetic marks, discolorations, tears, scars or marks. The reason is that they want to sell, and we shop with our eyes. How nice and appetizing these fruit towers look in the grocery stores? Sometimes just by walking by it gives you the urge to buy something unplanned because it seems so appetizing. Consider that these towers will fall if the lemons are of odd sizes, they won’t look that appetizing if the fruits are not all rounds, even and attractive. The end result is that very high standards have to be met, and even something we aren’t able to detect is considered as a defect and rejected. Would you select these out of the bunch? Turns out the in the US, 40% of all food is wasted. With only a third of that, we could feed the entire hungry population of the country. For the fresh vegetables and fruits, the statistics are even worse! 20% of all the crops produce is tossed because it’s not up to par with the demands of the grocery stores and, at the end of the day, it’s estimated that more than 50% of the produce is being wasted in total. So how do we change the way people buy their vegetables and control that waste? So why the hack not donate it all to Food Banks? You would think it’s the ultimate solution to donate the imperfect to the hungry. But it’s certainty not the case. 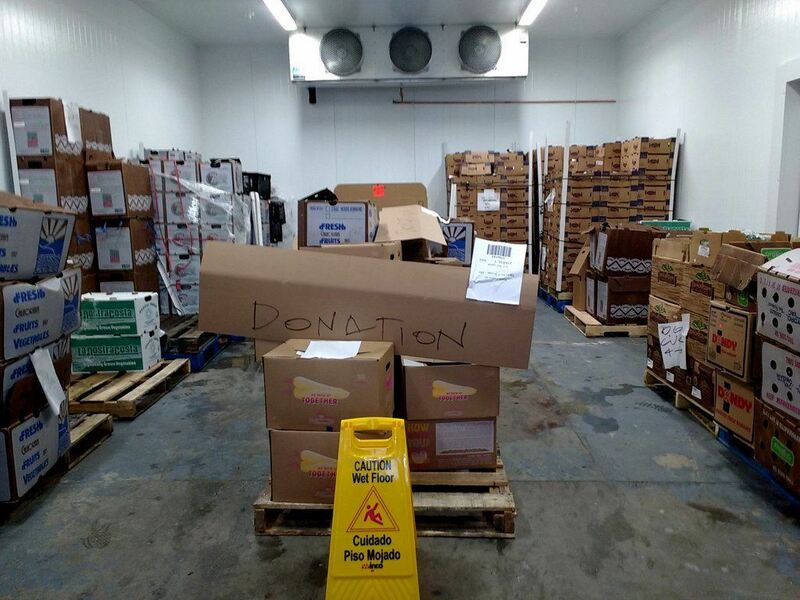 In order to give the produce as a donation, someone has to pay the growers to do all the picking and packaging. Food banks usually don’t have that kind of money and for the growers, doing all that work for free means a very big loss which they cannot suffer. So little does end up as a donation. What’s worse is that the produce that is just tossed away, mostly isn’t even being composted, it’s thrown with the landfill! This is because in order to be able to compost you need to have a balance between the organic material and the bacteria and such, and so there’s a limit of how much produce a grower can put to compost. The easiest way of discarding – the landfill – is the worst alternative. It costs a lot to donate, in Imperfect Produce they donate everything that’s of good edible quality but can’t be used by them. After the tour, we got to take a bag of fruits home with us. There were apples, mandarins and lemons (“or just one big lemon if it’s a huge one” said Dylan and indeed this is what was hiding in my bag). I tried one of the apples right there (couldn’t wait till I got home) and I have to be honest, it was phenomenal. Apples are disappointing me many times with a grainy texture and tasteless flesh due to the fact that they can be stored for up to a year in refrigeration in the conventional grocery shops. This post is not a paid ad to Imperfect Produce by any means. Getting weekly boxes of produce is definitely not for everyone. If it is something you might be interested in, I’m very fond of their work and you can find all the information on how to put in an order in their website. If not, you can control waste by buying produce in one of the surplus groceries and get great bang for your buck as well, or you could start buying straight from the growers in the farmer’s markets (which will be the topic of my next post). 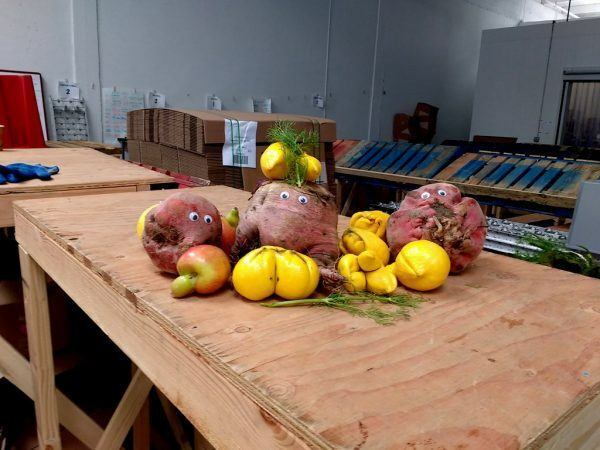 I also heard that on Fridays Imperfect Produce put a box of free produce outside their warehouse in Emeryville for the community to take, how nice is that! What would you do if all the grocery stores start selling ugly produce? Dylan’s answer for that was inspiring: “we might be looking for new jobs, but our mission will be fulfilled when all the grocery stores will have an ugly produce section”.